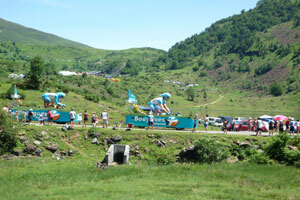 The Tour de France is often decided in the spectacular mountain stages of the Pyrenees. 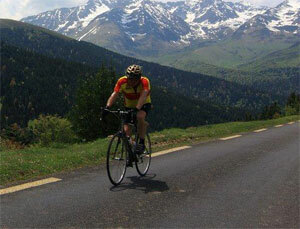 However for those who enjoy an easier ride, the Ariège and Haute Garonne also have much to offer with their wide river valleys where the slopes are gentle and the cool breeze from the river makes cycling a pleasure in all temperatures. Mountain-biking, or VTT (vélo tout-terrain), is also very popular here and many tracks have been created and adapted for all levels.